The best band in the world! 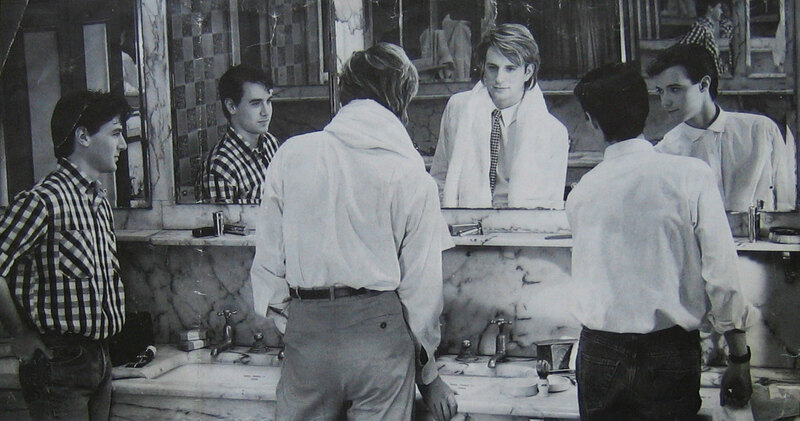 Scritti Politti. It’s been thirty years this year since i got to know the album Cupid & Psyche 85. I was hooked from the start. Eight months later i bought Songs to Remember. Loved this one too. Cupid % Psyche 85 did stay my favourite over the years. I enjoyed the other albums too, many a song on there which i can sing along with. But so far Cupid & Psyche still is the best. Once, either in the old yahoo group or in the fanzines made by James Lawrence in the late 90s the question was asked which Scritti song would be your favourite. I didn’t know. I knew it would be from Cupid & Psyche, but i was torn between Absolute, Woodbeez, Perfect Way, A Little Knowledge and The Word Girl. I do love the entire album. But over the years my thoughts settled more and more on The Word Girl. So here it is. It’s actually a hard one to sing for me, i think i go off key several times. The a cappella thing. The singing goes a lot better when i sing with the music. I love this song. I love the lyrics. I love the music. Yep, the whole lot.